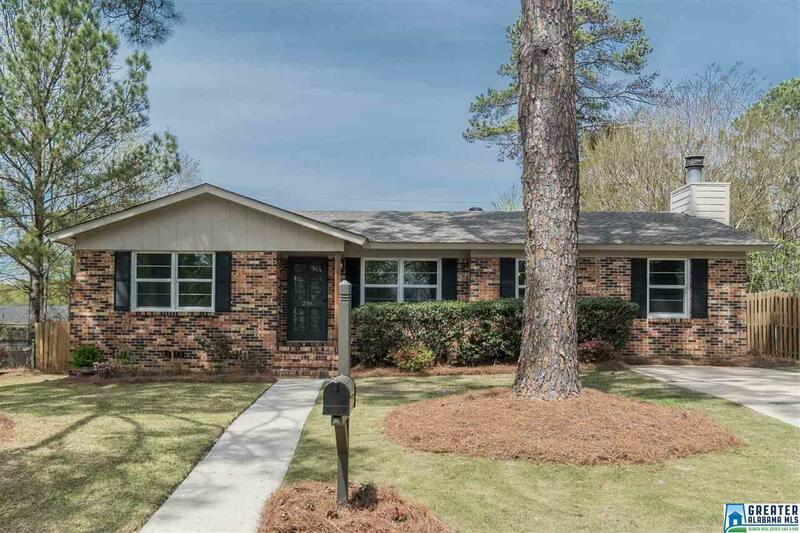 236 Fairlane Dr, Homewood, AL.| MLS# 845676 | Richard Jacks UABLIVING.com 205-910-2297 | Birmingham AL Real Estate | Contact us to request more information about our Homes for Sale in the Birmingham AL area. Welcome to 236 Fairlane Drive in Heart of West Homewood! This charming updated & MOVE-IN ready home offers 3 bedrooms, 2 bathrooms, living room, dining room, eat-in kitchen, den w/ fireplace & vaulted ceilings, & laundry room. Amenities include: new granite countertops, subway tile backsplash & tile floor, stainless appliances including refrigerator & new gas range, beautifully refinished hardwood floors, new carpet in den, recessed lighting, HUGE subway tile shower. ALSO new HVAC in 1/2019, Roof 3/2018 & newer windows. Walk to AWARD WINNING Hall-Kent Elementary, Patriot Park, New Pool, Pizzeria GM, ASH, West Homewood Farmer&apos;s Market, Seed&apos;s Coffee, Magic City Sweet Ice & everything that makes West Homewood the desired placed to be! Showings begin at 5:00pm today 4/5/2019. Driving Directions: Oak Grove Road Past Patriot Park - 2nd Right On Knoll Crest Drive - 4th Left Onto Fairlane Drive - Home On Right. Or Oxmoor Road To 1st Left Past Pizzeria Gm Onto Oakmoor Drive - Next Left Onto Hillmoor Lane - 2nd Right Onto Fairlane Drive - Home On Right.